Here’s a rendition of Beautiful Love, one of my favorite tunes to play. I’ve tried to go out of my comfort zone on this video and incorporated more modern intervallic approaches to soloing, using parallel 5ths and 2nds moving horizontally across the fretboard. 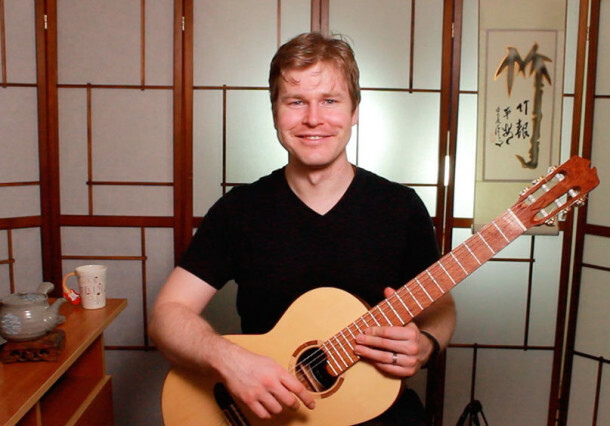 I’ve put together a new lesson series for you which shows you how to do everything I demonstrate on the video and more – the chord melody, soloing approaches, comping, how to understand the harmonic progression, and everything else you need to jam with this tune. To get instant access, all you need to do is to join up now to the FretDojo Academy Club online jazz guitar learning group.